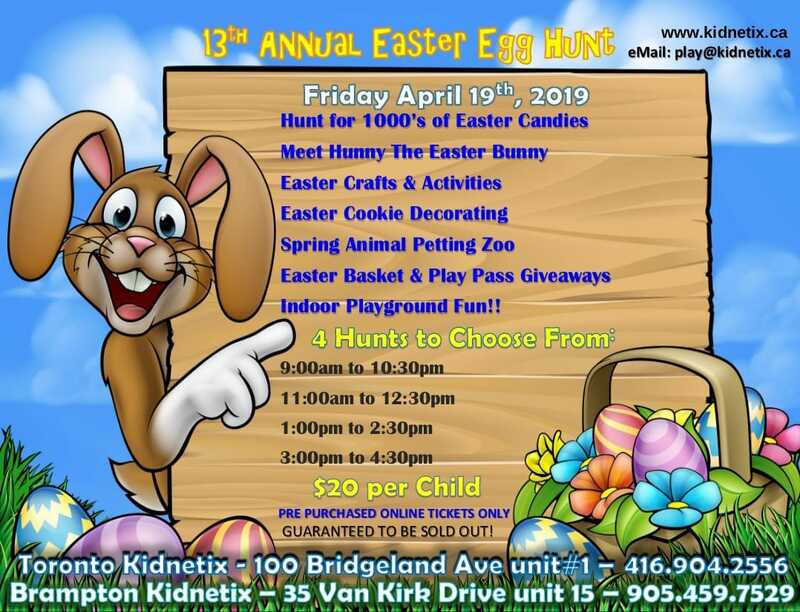 Join the fun at Kidnetix Brampton and Toronto 13th Annual Easter Egg Hunt. Egg-citement for the whole family. Hunt for 1000’s of Easter candies in our indoor playground. FREE photo booth with the Easter Bunny, crafts, fun interactive petting zoo, Easter basket giveaway at each hunt, tons of indoor playground FUN! !